You care for your patients and we care for your valuable medical data. Healthcare industry needs efficient products that can be fast, scalable and reliable with their valuable medical records. Millions of users including patients doctors and medical staffs generating petabytes of data in hospitals. At this point NGX Storage offers products that are scalable within reasonable cost. Medical records consist of digital images and other rich media files. 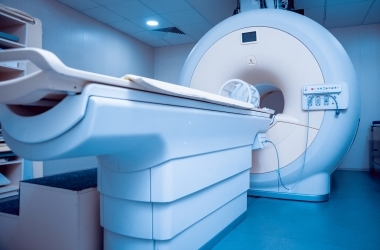 Some of the medical processes such as MRI Scans generate very large media files for per patient. These files grow in size everyday and storage behind them becomes more critical. In Healthcare IT systems, it is important to scale easily and continue to provide top speed and efficiency. NGX Storage solutions are best fit for these evolving needs of Healthcare systems. Using both asynchronous differential delta copy remote replication and synchronous replication to achieve lowest recovery point and recovery time objectives in the industry. All of our products can communicate natively with each other for data replication..
Save more space and cut energy consumption while gaining extreme performance. With our transparent inline data compression and deduplication technologies you can save 10x space on your organization. 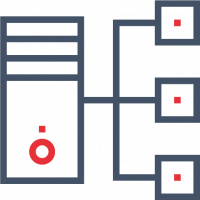 NGX Storage is designed to prevent any downtime with its high availability architecture and complete data protection schemes. It provides non-disruptive software upgrades and capacity expansions while keeping the business online. Hospital groups in the Healthcare organizations need a solution that they manage their huge patient records from different locations. NGX Storage remote replication provides an effective solution that is capable to transfer volumes between storages fast and efficiently. It also possible to easily get back-ups on remote centers. When performance needed NGX Storage All-Flash array delivers ultimate performance and helps to accomplish Healthcare organizations goals.